Scholastic Summer Reading Challenge. This year’s Be a Hero and Read Challenge invites students to help Read for the World Record. 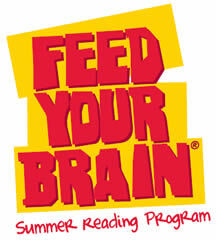 A free online program designed to motivate and excite your children around reading books this summer. There are special books to unlock and rewards to earn as you bank your minutes. The Summer Challenge is an easy and fun way for kids to log the minutes they spend reading as they earn rewards. You can also organize your local school group to read together to see how much your school reads together. Book Adventure | Free Reading Program. Sylvan’s Learning Centers. Book Adventure is a fun, free way to motivate your child to read! Kids in grades K-8 can search for books, read them offline, come back to quiz on what they have read, and earn prizes for their reading success. Program is on-going. Summer Reading – Barnes & Noble. The Barnes & Noble Summer Reading Triathlon is here to help encouraging you to read books of your own choosing and earn a FREE book, simply by following these three easy steps: 1. Choose 3 of the 4 listed activities and record your answer in your Reading Journal. 2. Bring your completed journal to a Barnes & Noble store between May 17th and September 6th, 2016. 3. Choose your FREE reading adventure from the book list featured on the back of the journal. Once you’ve read 300 minutes, turn in your completed reading log to earn your $5 HPB Bookworm Bucks reading reward for the month. This is only good for June and July 2016 only. Bookworm bucks expire September 1st. Reward Your Kid With Rewards Calendars How about earning free tokens on their next visit to Chuck E. Cheese’s? Print out a free rewards calendar to get started. Mark the days off with a pen or sticker as your child accomplishes their goals. Bring in the completed calendars to your local Chuck E. Cheese’s and receive 10 free tokens as a reward. You can do this as many times as you like before 12/31/16, but only one chart may be redeemed per child per day. LifeWay’s national summer reading program helps promote the love of reading books as well as encouraging the love of God’s word through reading his Scripture. Lifeway is a chain of Christian bookstores. If you have one near you, your child can participate in their program which runs from June 1 – August 31 for students in 1st to 6th grade. Read six books and memorize six Bible verses. Complete the downloadable reading journal and turn it in at your local store for a free book and Bible. Soar With Reading – a joint project with JetBlue and Random House Children’s Books. Make reading fun with our Summer Reading Program | TD Bank. Print out the summer reading form. Excellence in Reading – Mensa for Kids.Earn a commemorative certificate in recognition of your outstanding achievement and get an Excellence in Reading T-shirt, too! The Mensa Foundation recognizes and encourages education, gifted youth and lifelong learning through programs like the Mensa for Kids Web site and other activities. To encourage the joy of reading, the Foundation has developed the Mensa for Kids Excellence in Reading Award Program! Read and earn a free t-shirt and award certificate. This is a year-round program. Of local interest to San Diegans, your child can earn free admission to the San Diego Fair by reading 10 books. You can download a reading log here. Pizza Hut BOOK IT! Program. Pizza Hut has a homeschool reading rewards program that allows you to participate in a reading rewards program. Enroll here for your K-6 (5 to 12 years old) students. Homeschool Buyers Co-op has summer reading program that gives each participating student a chance to win for every hour read. You may also count listening to audio books or time you spent reading to your child. You must log in your daily reading on the Reading Champions to earn your chances to win prizes from the Community Treasure Chest. The program runs from June 1st to September 1st. Always, sign up for your local library reading programs. Happy reading this summer with your kids!